Get involved in our third Gallery Hop around galleries South of the River in London. Meet other artists based in and around Croydon and discover new and exciting exhibitions and venues. Get involved in our third Gallery Hop around galleries South of the River in London. 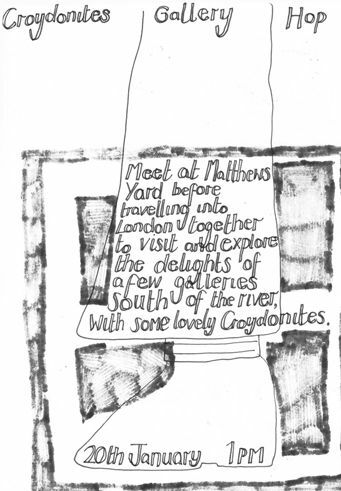 Meet other artists based in and around Croydon and discover new and exciting exhibitions and venues. Let's meet at Matthews Yard at 1pm and grab a bite to eat from Matthews Yard's wonderful brunch menu before setting off.